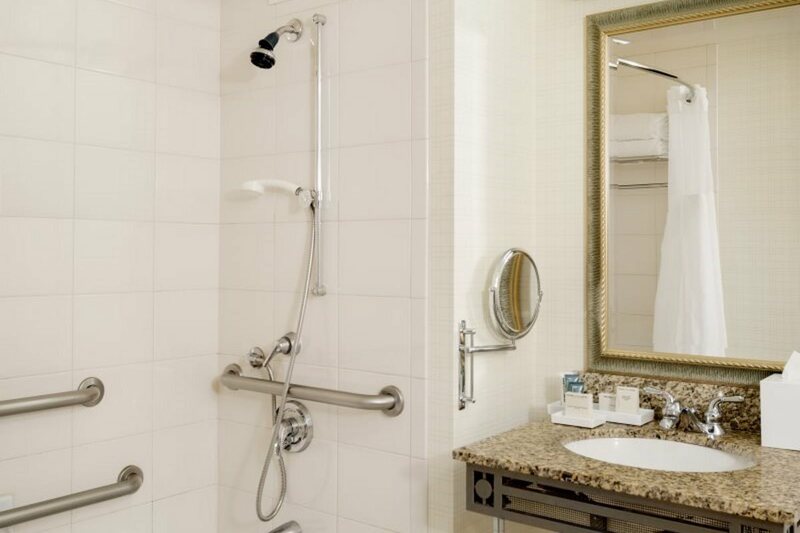 This mobility accessible executive level room features two double beds and an accessible tub. In addition to the standard amenities, rooms on our Executive Level feature access to our Executive Lounge, which serves Monday-Friday a daily continental breakfast from 6:30am-9:30am Saturday and Sunday 7:30am-10:30am, and an evening cocktail reception from 6pm-8pm daily. Executive Level rooms are decorated with soft colors and light maple, ash and Bombay mahogany furniture with plush chair and ottoman, 37-inch plasma HDTV, refrigerator, and Hilton alarm clock radio to customize your in-room entertainment experience. 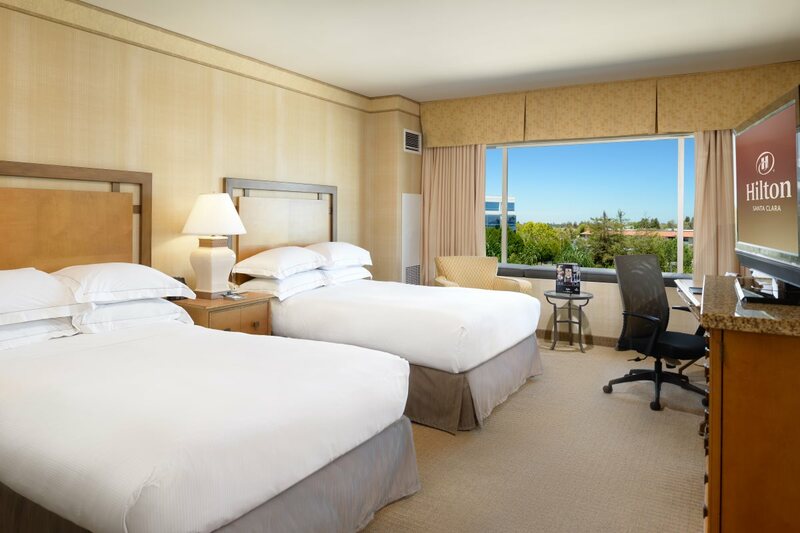 Executive Level rooms also include terry bathrobes, complimentary internet or W-iFi access and turndown service (available upon request). 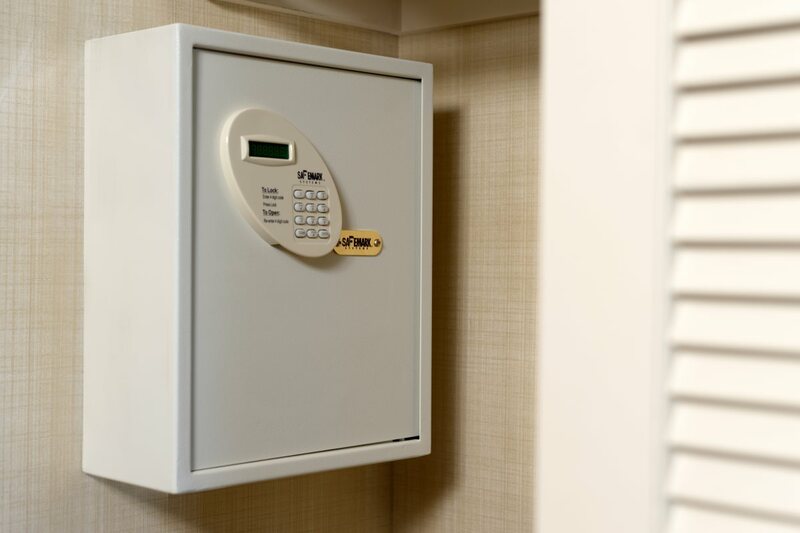 Modern technology and luxury are combined to provide each guest with all the necessities required for a positive stay. Any corresponding photo may not reflect the specific accessible room type or room feature.